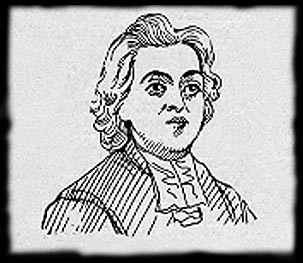 BOURDON, JEAN (sometimes called M. de Saint-Jean or Sieur de Saint-François), seigneur, engineer, surveyor, cartographer, businessman, procurator-syndic of the village of Quebec, head clerk of the Communauté des Habitants, explorer, attorney-general in the Conseil Souverain; b. c. 1601 at Saint-André-le-Vieil in Rouen; d. 1668 at Quebec. He arrived in the colony on 8 Aug. 1634, together with his friend Abbé Jean Le Sueur; he was a bachelor and had the title of engineer to the governor. As soon as he arrived he settled on the outskirts of Quebec, on the Sainte-Geneviève hill. On 5 April 1639 Governor Huault de Montmagny made him a commoner’s grant of the 50 acres of land that he had been occupying from the beginning, and that he had named “terre Saint-Jean.” He built a mill, and a chapel where his friend Jean Le Sueur was to officiate. Later, on 19 March 1661, the Compagnie de la Nouvelle-France was to transform this first land concession into a noble fief. Jean Bourdon received several other seigneuries in return for his services. On 30 July 1636 he obtained the Rivière au Griffon seigneury, which was one league by three in area. On 1 Dec. 1637 he was granted the seigneury of Autray, measuring half a league by two, which he was to give to his son Jacques on 20 Dec. 1653. On 10 March 1646 Montmagny granted him commoner’s rights to the Saint-François domain, on condition that he would build a wooden fort there to protect Quebec from the Iroquois. At first Bourdon owned only a part of this land, but Abbé Le Sueur subsequently gave him his portion. 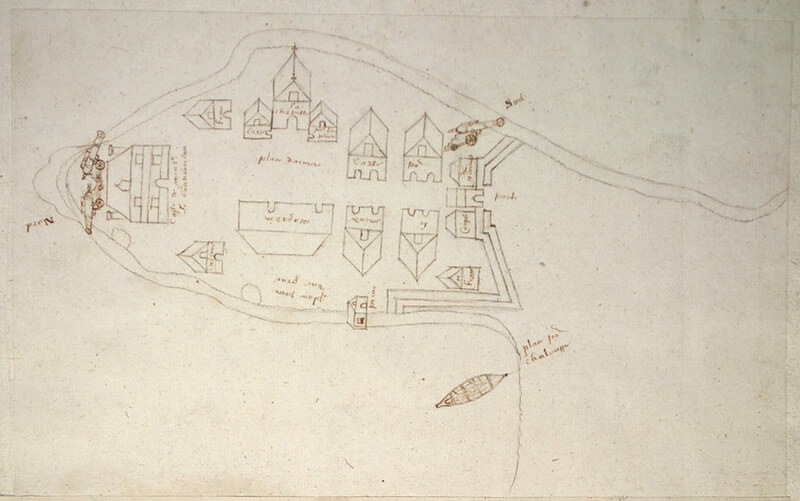 Governor Jean de Lauson, on 25 April 1655, made this property into a noble fief. On 15 Dec. 1653 Bourdon received the seigneury of Dombourg (anagram of Bourdon), which was situated at the spot now called Pointe-aux-Trembles, and which he intended for his son Jean-François. A few days later, on 21 December, the governor granted him the seigneury of La Malbaie, which was four leagues in depth. On 30 March 1655 he acquired the arriere-fief of Saint-Anne, in the Lauson seigneury, which he was to give to the Ursulines to pay his daughter Anne’s dowry. Jean Bourdon does not seem to have devoted too much time to exploiting his seigneuries. He lived on the Saint-Jean fief, which he had put under cultivation and on which he had constructed “a large main building, and a smaller block of buildings including a chapel, two barns, and three granaries.” He carried on his profession as an engineer and surveyor. 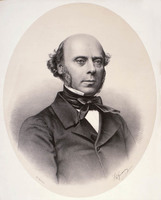 He instituted a survey of the town of Quebec, directed building operations, and settled disputes relating to land. During his stay in France in 1641–42 he even drew up a detailed map of the region between Quebec and Cap Tourmente, including the Île d’Orléans. In 1653 he went into partnership with Jean-Paul Godefroy and Louis d’Ailleboust, in order to establish three-way trade between Canada, the West Indies, and France. Jean Bourdon became a prominent figure in the colony. In 1645 he was appointed acting governor of Trois-Rivières. 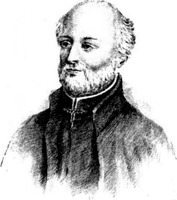 The following year he went with Father Jogues to the Iroquois country, to consolidate the peace treaty concluded the previous summer at Trois-Rivières between Montmagny and the Indian chiefs, who had been represented particularly by the orator Kiotseaeton. He set off on 16 May and arrived in the Iroquois country on 7 June. On the tenth the meeting with the chieftains took place. The peace treaty was renewed, but with some reservations. An epidemic of smallpox among the Iroquois coincided with the departure of Jogues and Bourdon from the Iroquois country; some warlike chieftains accused Jogues of witchcraft and the peace was broken. Jogues and Bourdon were back at Trois-Rivières on the twenty-ninth. The creation of the Communauté des Habitants raised Bourdon to the highest level of Quebec society. In 1647 he was elected procurator-syndic of the town of Quebec, and then the governor appointed him head clerk of the Communauté. This last appointment required him to travel all over the colony in the following years, for he had to supervise the fur trade. In 1650 he went to France with Godefroy, who according to Burke-Gaffney proposed to negotiate the setting up of the Compagnie de Tadoussac. Apparently at Lauson’s request, the Compagnie de La Nouvelle-France appointed Bourdon its fiscal attorney, with the responsibility of supervising the activities of the Compagnie de Tadoussac. He was working for the Communauté when he undertook his famous journey to Hudson Bay. 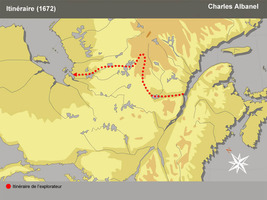 La Potherie [Le Roy*], Charlevoix*, and Garneau* give the date of this journey as 1656. Their error possibly stems from a forged document composed much later under the administration of Governor Brisay* de Denonville, with the object of substantiating France’s claim to Hudson Bay. The Relations and the documents of the period agree on the year 1657. Bourdon left Quebec on 2 May with 16 Frenchmen and 2 Hurons, and apparently went to Kibokok, at the mouth of the Ashouanipi River, latitude 55º north. The assassination of his Huron guides prevented him from continuing his journey. He returned to Quebec on 11 Aug. 1657. At the time of the diplomatic negotiations between France and England for the possession of Hudson Bay, the French tried to base their right of ownership on this voyage by Bourdon. It was of no avail, for Bourdon had not gone to Hudson Bay and had not officially taken possession of it. 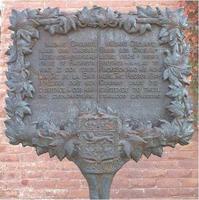 On 18 Oct. 1660 he went to France. It is presumed that he was instructed to place before the minister the military situation in the colony, and to ask for troops to be dispatched. He may have drawn a map of Quebec for that purpose. 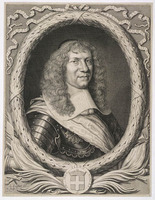 In 1662 Bourdon was called upon to reply to charges laid against him by Jean Peronne Dumesnil, who was making investigations for the Compagnie de la Nouvelle-France. Dumesnil accused Bourdon of having failed to keep an exact account of the furs traded by the Communauté des Habitants. Rouer de Villeray was also implicated in the affair, about which we have very conflicting evidence. Poor bookkeeping, resulting from the incompetence of the Communauté’s administrators, may have given rise to Dumesnil’s charges. It is undeniable that some people did deliberately create confusion, but Bourdon could not have been involved. Despite the charges weighing upon Bourdon, Bishop Laval*, when an administrative reorganization was undertaken in 1663, called upon the latter’s experience: he recommended him to the governor and had a hand in his appointment as attorney-general. Except for two periods when he was replaced by Louis-Théandre Chartier de Lotbinière, Bourdon occupied this office until 1668. The Council’s records show that he was a regular attendant at the meetings, where he often sided with the bishop. This aroused the anger of Governor Saffray de Mézy, who twice attempted to remove him from his post. In September 1664 he appointed new councillors to ensure that his point of view would prevail in the quarrel between himself and Bishop Laval, but Bourdon refused to leave his post, banking on the text of the decree that set up the Conseil Souverain; this text made no provision for any procedure whereby the attorney could be dismissed. Mézy was furious, ordered Bourdon to be expelled, and gave him 24 hours to leave for France. On 23 September Bourdon sailed with his son Jean-François. He spent his spare time in Paris drawing up a map of the surroundings of Quebec. An investigation by Prouville de Tracy, who arrived in Canada in 1665, led to the reinstatement of the former councillors in 1666, and Bourdon, who had returned to Quebec on 16 July 1665, became attorney-general again on 6 Dec. 1666. Once again he was not to occupy his seat for long. Since 1663 he had been a prey to gout. On 12 Jan. 1668 he died at Quebec. He was buried the next day in the Chapelle du Scapulaire, in the church of Notre-Dame de Québec. Jean Bourdon had married twice. On 9 Sept. 1635, in the church of Notre-Dame-de-la-Recouvrance at Quebec, he married Jacqueline Potel, who died on 11 Sept. 1654 after bearing him eight children. His four daughters became nuns. 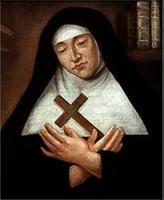 Geneviève, under the name of Mother Marie-de-Saint-Joseph, was the first Ursuline born in Canada; Anne*, called Mother Sainte-Agnès, became a superior of the Ursulines; Marguerite*, dite Mother Saint-Jean-Baptiste, entered the Augustines and was one of the three founders and the first superior of the Hôpital Général of Quebec, where Marie, who chose the name of Mother Marie-Thérèse-de-Jésus, took the veil. After her husband’s death, Anne Gasnier continued to concern herself with good works. She devoted herself especially to the welfare of immigrant girls. She made several trips to France to recruit respectable girls desirous of making a home in Canada. When they reached Quebec, she would give them lodging and food in a house that had been left to her in the Lower Town by her husband. Charlevoix, Histoire, I, 476. JR (Thwaites). 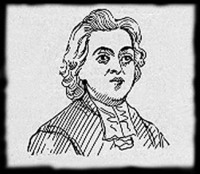 JJ (Laverdière et Casgrain). La Pot(h)erie, Histoire (éd. 1722), I, 141. NYCD (O’Callaghan and Fernow), IX, 286 (Jacques René Brisay de Denonville, “Memoir on the state of Canada, Nov. 12, 1685), et passim. PAC Report, 1883, Note C, 173–201 (“Transactions betweene England and France relateing to Hudsons Bay, 1687”). P.-G. Roy, Inv. concessions. Burke-Gaffney, “Canada’s first engineer: Jean Bourdon 1601–1668,” CCHA Report, 1956–57, 87–104. Delanglez, Jolliet, 245–62. “Éloge de la famille Bourdon (Lettre de la Mère Marie de l’Incarnation à son fils, 1668),” BRH, XXXIV (1928), 52f. Garneau, Histoire du Canada, I, 446. Godbout, Les pionniers de la région trifluvienne, 28. Auguste Gosselin, Jean Bourdon, 1634–1668 (Les Normands au Canada; Évreux, 1892); Jean Bourdon et son ami l’abbé de Saint-Sauveur: épisodes des temps héroïques de notre histoire (Les Normands au Canada; Québec, 1904). “Jean Peronne Du Mesnil et ses mémoires,” BRH, XXI (1915), 172, 193f, 198. Parkman, The old régime (25th ed. ), 131–44. J.-E. Roy, “Jean Bourdon et la Baie d’Hudson,” BRH, II (1896), 2–9, 21–23; “Les seigneuries de Jean Bourdon,” BRH, XLII (1936), 336–38. Bibliothèque et Arch. Nationales du Québec, Centre d’arch. de Québec, CE301-S1, 9 sept. 1635, 21 août 1655, 13 janv. 1668. 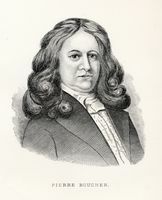 Jean Hamelin, “BOURDON, JEAN (sometimes called M. de Saint-Jean or Sieur de Saint-François),” in Dictionary of Canadian Biography, vol. 1, University of Toronto/Université Laval, 2003–, accessed April 19, 2019, http://www.biographi.ca/en/bio/bourdon_jean_1E.html.